Book Not On the Shelf? The Library of Congress Classification (LCC) is a classification system that was first developed in the late nineteenth and early twentieth centuries to organize and arrange the book collections of the Library of Congress. Over the course of the twentieth century, the system was adopted for use by other libraries as well, especially large academic libraries in the United States. The system divides all knowledge into twenty-one basic classes, each identified by a single letter of the alphabet. Most of these alphabetical classes are further divided into more specific subclasses, identified by two-letter, or occasionally three-letter, combinations. For example, class N, Art, has subclasses NA, Architecture; NB, Sculpture, ND, Painting; as well as several other subclasses. Each subclass includes a loosely hierarchical arrangement of the topics pertinent to the subclass, going from the general to the more specific. Some subtopics appear in alphabetical, rather than hierarchical, lists and are represented by decimal numbers that combine a letter of the alphabet with a numeral , e.g. .B72 or .K535. Adapted from the Library of Congress website. Note that the location information also includes which library the book is in. This guide is focused on books in Mugar Memorial Library. 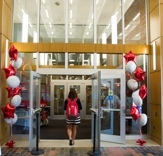 See Other Locations, Other Libraries for information on finding books in other BU Libraries. 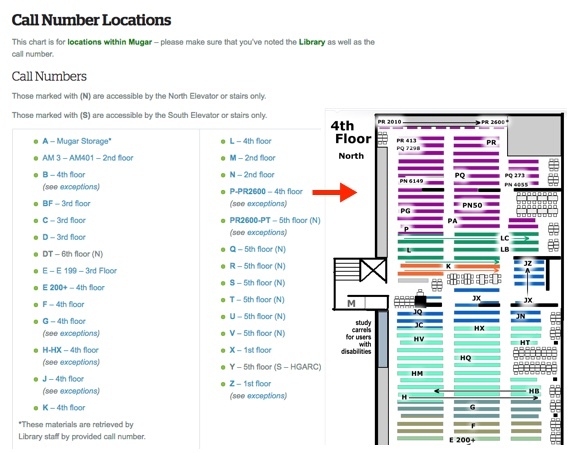 To find the location of a book in Mugar, select the letter at the beginning of the call number from the Call Number Locations guide on the Libraries website. (There's a link to the guide -- "Locate this in Mugar Library" -- in the Mugar book records in BULS.) The range of call numbers for each row of shelves is shown on the ends of the shelves themselves on each floor. See Navigating the Shelves below for an explanation of how call number sequencing works on the shelves. Note: The north elevator and stairs (near the Circulation Desk on the 1st Floor) are shown on the left side of the map. The south elevator and stairs (just to the right of the library entrance) are near the bottom of the map. Copies of the maps are also posted by the elevators on each floor. For books on the 5th or 6th Floor, use only the north elevator or stairs. Even after you find the shelf location it can be tricky to find the actual book. Here's how the sequencing of call numbers works. See below for a visual example. 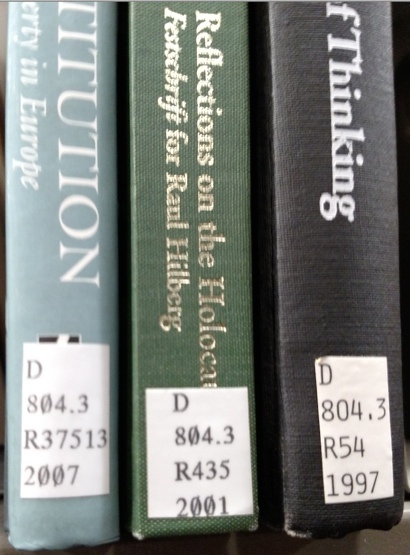 The call numbers of these three books all begin with D804.3. The next part of the sequence is, left to right, R37513 then R435 then R54. Numerically, 54 comes before 435 which comes before 37513. But these numbers appear after the decimal point in the call numbers, so they are actually .37513 then .435 then .54. The way they are arranged on the shelf is therefore correct.